The All Progressives Congress, APC, Youths Renaissance ​has reacted to the victo​ry of Governor Wille Obiano in the Anambra election. 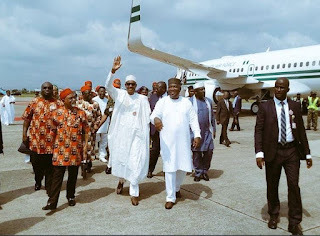 ​A statement Sunday night by​ Collins Edwin, the group’s National Secretary, said before the election, all necessary logistics were given to Southeast leaders to deliver victory to the APC. “But it looked as if such logistics were diverted as it did not get to the intended people in the region”, it read. “How on earth can anyone explain the rational behind the 21/21 victory of APGA in all the 21 Local Government Areas of Anambra State? ​”​Even Tony Nwoye, Chris Ngige, Uche Ekwunife, Andy Ubah and the rest could not deliver their local governments to APC! ​”​However, the election has exposed the insincerity of the so-called leaders of the party in the region. ​”​T​​​​hey shared party resources among themselves without carrying critical segments of the party along. ​”​I​​​​n particular, Comrade Tony Nwoye was carrying himself as Governor-elect without listening to wise advice and suggestions. ​”​As a result, their greeds and lack of coordination have cost APC the much needed victory in Anambra State.